China has proved in the past that when it comes to massive set pieces, the country can pull them off in style. The opening ceremony of 2008 Beijing Olympics was testament to that, but in some ways the 60th anniversary of the Communist Party being in power was even more remarkable, as the military might on display inspired equal measures of awe and fear. 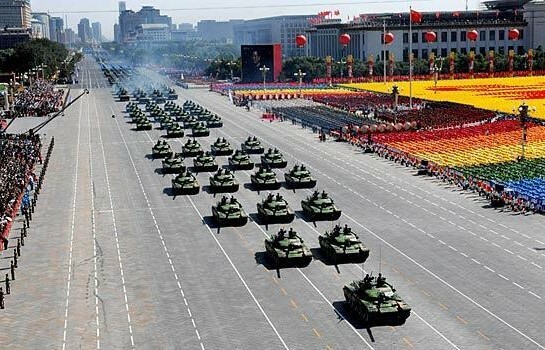 5,000 troops of the Peopleâ€™s Liberation Army marched in perfect unison as part of the display followed by tanks, trucks and 52 new-generation weapons systems including nuclear intercontinental ballistic missiles, DH-10 naval ship destroying cruise missiles and aerial drones. The military might on display was a symbol of Chinaâ€™s strength and pride, but also its rapid modernity. Ten years ago at the 50th anniversary celebrations, twice as many troops were drilled for the parade. This yearâ€™s focus was more on Chinaâ€™s technological advancements in weaponry, a pursuit of highly proficient professionalism rather than sheer strength of numbers. The extraordinary three kilometre procession through Beijing and Tiananmen Square had a limited number of onlookers of just 30,000 guests, while millions more were instructed to stay at home and watch the ceremony on television. Oh look, NYC celebrated too. A Tibetan monk has been shot after setting fire to himself during a protest at Beijing's rule, reports say. * Governments murdered four times as many civilians as were killed in all the international and domestic wars combined. Now, my overall totals for world democide 1900-1999 must also be changed. I have estimated it to be 174,000,000 murdered, a figure familiar to you if you are a regular visitor to this blog or my website. With my reevaluation of Mao's democide, I now put the total at 212,000,000, of which communist regimes murdered about 148,000,000. Also, compare this to combat dead. Communists overall have murdered four times those killed in combat, while globally the democide toll was over six times that number. 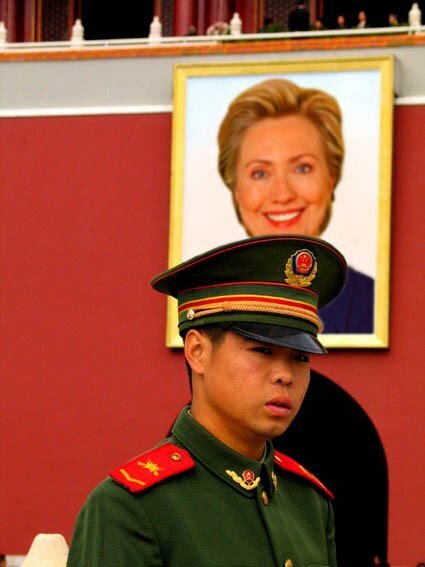 WASHINGTON (AFP) â€“ Amnesty International and a pro-Tibet group voiced shock Friday after US Secretary of State Hillary Clinton vowed not to let human rights concerns hinder cooperation with China.